Ring a Day is over. I still don't know if I can express what RAD meant to me. It was a process for me of learning to be creative again. I was free to invent new rings. It was solely about your creativity! It was really wonderful (and challenging) to create a tiny piece of Art each day. And the support system was amazing! I feel lucky to have made so many new friends that supported me through the process and were along for the ride. 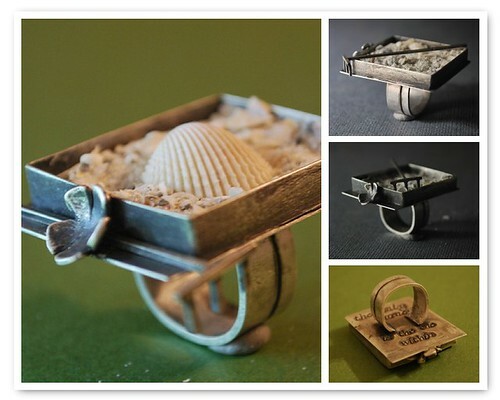 The Zen Garden Ring was my last ring #365. It was an idea I had in my mind for a while through the journey of RAD. I spent New Years Eve working on it. It evolved as I created it (as most things do). I wanted to create a ring that meant something and expressed the journey that RAD was for many of us. With the new year is a new challenge , Ring a Week. It will be a great place to focus on designs and spend more time on them. And it will be so fun to watch all the creativity unfold with all the new people taking this creative challenge. Please stop by. 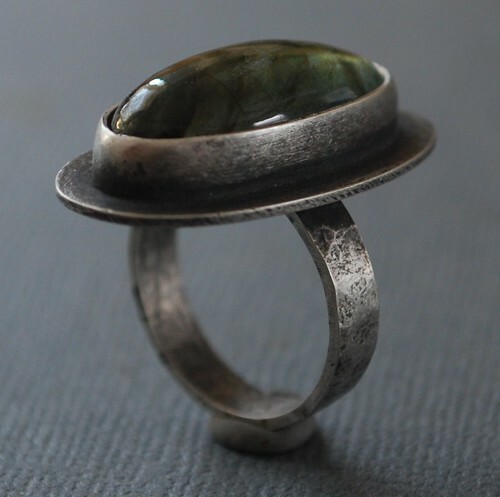 Your ring does evoke a zen garden - the stone and the textured metal remind me of the focus stone placed amongst smaller river stones. The colour of plants symbolised also.